A unique feature of the Vulcan S is the ability to change the Seat and Handle bars (accessories) and adjust the foot leaver positions to suit a variety of riders. 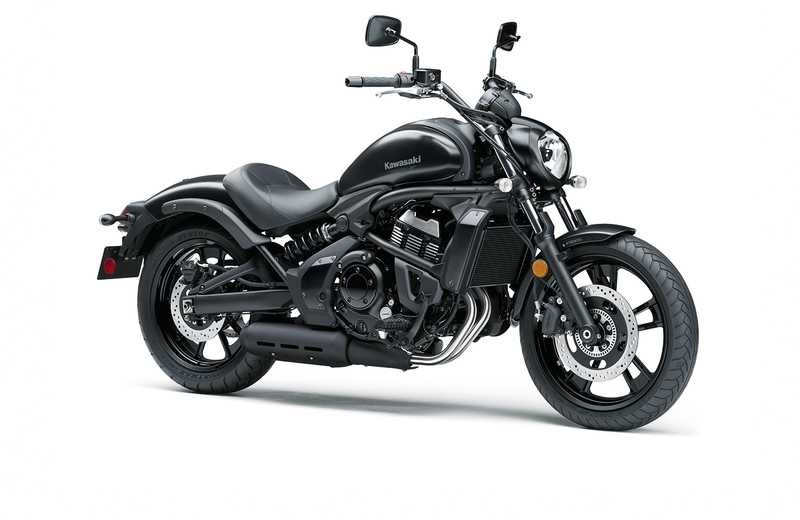 The Vulcan S offers Standards Reach, Reduced Reach (for shorter riders) and Extended Reach (for taller riders) options. 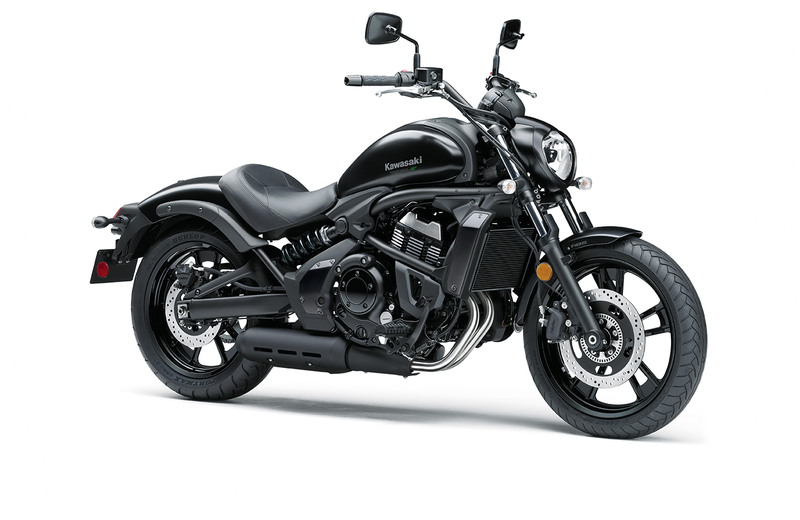 Talks to your Kawasaki Dealership about getting the right fit for you on the Vulcan S. The Vulcan S is an extremely adaptable cruiser that showcases adjustable positions for every rider. 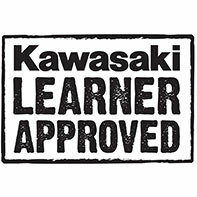 The changes are made using Kawasaki Genuine Accessories. 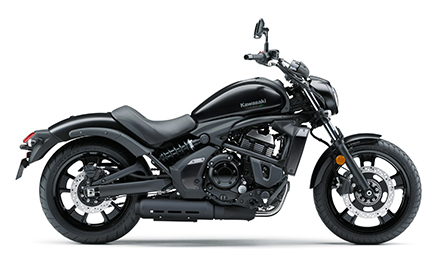 A superb range of Kawasaki Genuine Accessories are available for the Vulcan S; Saddle Bags, Light Bars, Tank Bag, Tail Bag, Rear Rack and kits to set the Vulcan S up for solo or 2-up touring. Many of the Genuine Accessories feature the Kawasaki Quick Release system, making it easy to change your Vulcan S to suit each ride. Low seat and slim overall design make it easy to reach the ground with both feet, contributing to rider confidence. Large-diameter disc brakes balance ample stopping power with easy control. Customers looking for an added degree of reassuring braking performance with standard front and rear ABS. Liquid-cooled, DOHC, 8-valve 649 cm³ Parallel Twin, fuel injected. Delivers smooth performance in the low and medium rpm ranges. The engine was tuned for rider-friendly power characteristics that will inspire confidence in all riders. The Vulcan S offers smooth starts, smooth acceleration, and a satisfying pull when accelerating. The Vulcan S is fitted with the Kawasaki neutral finder; when stationary in first gear, just shift up and it will easily find neutral. Wheel sizes (18-inch for the front, 17-inch for the rear) are closer to those found on a sport bike than a typical cruiser model (which often have much larger front wheels). The slightly larger front wheel contributes to the Vulcan S’s natural, light handling. The Vulcan S is equipped with front and rear ABS disc brakes. The 300mm front is gripped and 250mm rear brake rotors are gripped by a twin-piston caliper at the front and a single piston caliper for ample stopping power. Footrest position adjustable with three positions available: STD, 25 mm forward, 25 mm back. (Alternate shift linkage rods, sold separately, are necessary when changing the position from standard.) Optional accessories available at an additional cost: Reduced Reach and Extended Reach accessory seats are available to customise your fit. Features a low 705mm seat height. The seat design with thick, 62mm padding offers a wide surface and excellent hip support, ensuring ample comfort for city riding and short tours. The seat bracket is rubber-mounted, reducing vibration transferred through the seat. Optional accessories available at an additional cost: Reduced Reach and Extended Reach accessory seats are available to customise your fit. The swingarm’s D-shaped cross-section gives it a pipe-like design that matches the frame, and contributes to the high-quality appearance. Offset laydown rear single-shock supension is distinctive syling element, contributing the trend setting design. Pre-load adjustment is via an easy access 5-way cam wheel. Tear drop-style fuel tank adds a cruiser-style touch. With its 14 litre tank capacity and the Parallel Twin engine's good fuel economy, the long range offered by the Vulcan S means riders can go longer between fill-ups—convenient in town, and reassuring when out on a daytrip. Analogue-style tachometer and multi-function LCD screen use blue LED backlights for excellent visibility at night. Include a fuel gauge, digital speedometer, clock, odometer, dual trip meters, remaining range, average/instant fuel consumption and the Economical Riding Indicator. Curved, flowing style blended with a powerful, long-and-low stance and modern elements creates a unique, eye-catching design. Inverted triangle headlamp contributes to the Vulcan S’s fresh, unique design. A position lamp is built into the upper portion of the headlamp unit. Tail fender shaped to hug the rear wheel as closely as possible, creating a compact cruiser-style design. The design was made possible in part by the offset laydown rear shock. Elegant pipe perimeter frame is a key component of the Vulcan S’s identity. The bike’s bodywork accentuates the frame. The design of the frame, rear suspension and swingarm create an integrated line running from the front of the bike to the rear hub. A pipe frame of high-tensile steel gives the bike a lightweight appearance. Attractive bend of the exhaust pipes and an under-engine muffler arrangement contribute to the Vulcan S’s attractive styling. Enter your postcode to get a ride away price.